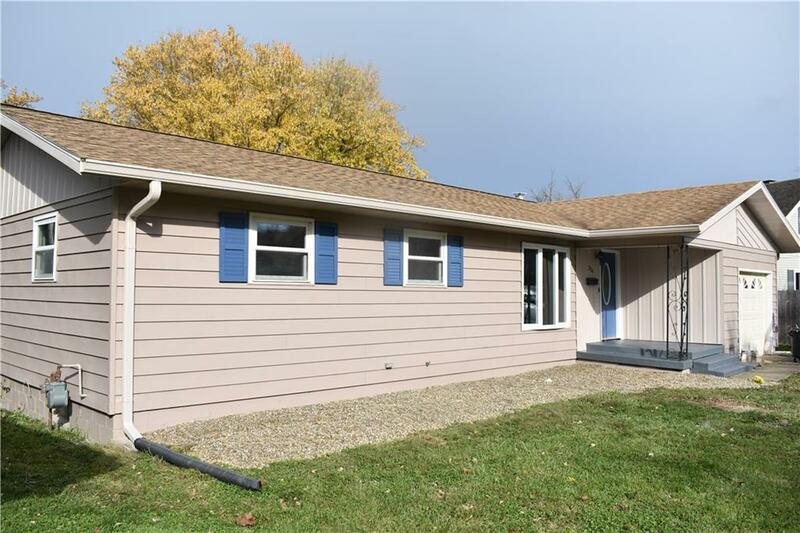 Three bedroom ranch with walk-out basement, large yard, and many recent renovations. Updated kitchen offers open concept into dining area, and family room. Appliances to remain. Spacious living room with hardwood floors. Updated full bath with new vanity, and LED lighted faucet. Hardwood flooring in all bedrooms. Freshly painted full walk-out basement. Maintenance free exterior siding, new wood deck on rear, one car attached garage. Newer windows, roof, flooring, and fresh paint inside and exterior.